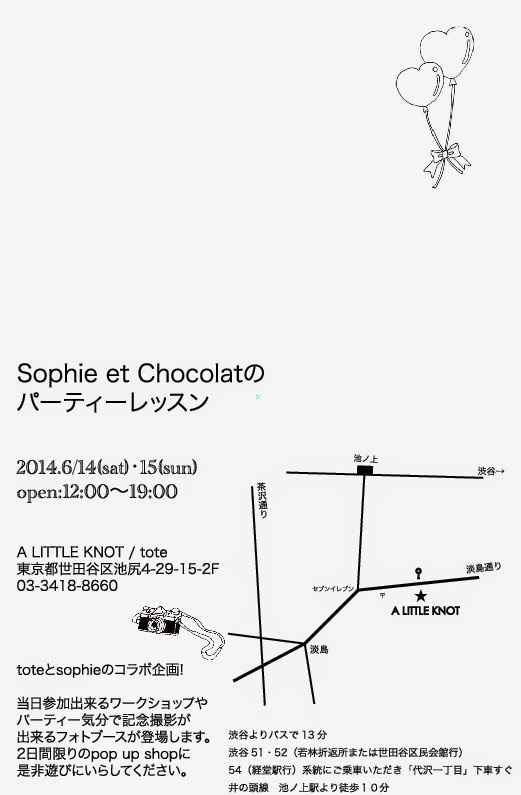 Friends, a quick hello today to mention an event I have been working on lately: Party Lesson by Sophie et Chocolat which will take place this weekend at a cute little shop in Western Tokyo called A Little Knot. 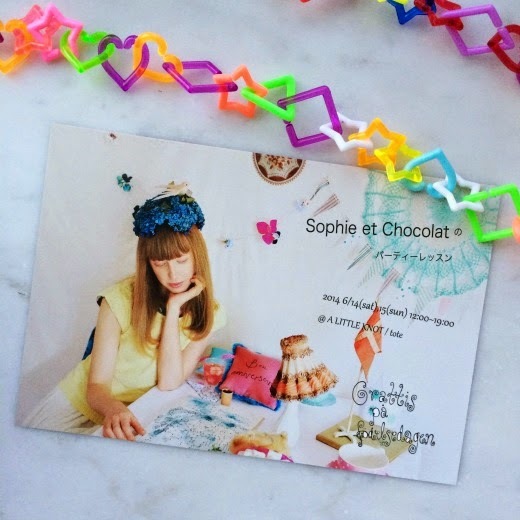 You probably remember my introduction to the world of Sophie et Chocolat, whose work was featured in the first issue of Tukutte magazine and at the Hobby Show. 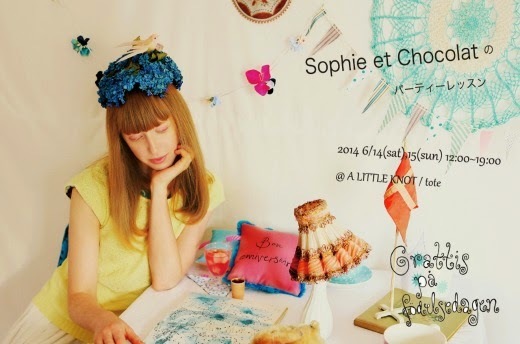 They actually proposed this collaboration at the end of the exhibition and I was thrilled as I love their work and styling! 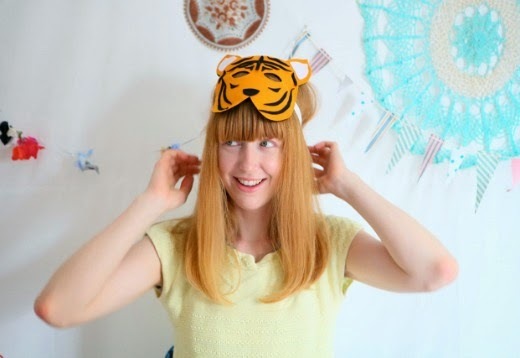 They asked me to create goodies on the theme Party Lesson, and particularly masks such as the ones I had made last year for the Vintage Circus party styling. I improved the lion and tiger designs and also designed a zebra + the white rabbit of Alice in Wonderland. In addition to the masks I came up with cupcake topper sets and magic wands which are cute enough to be kept as a display... 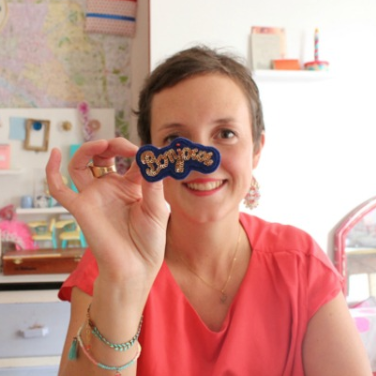 I will share all the designs that are for sale in a separate blogpost tomorrow. 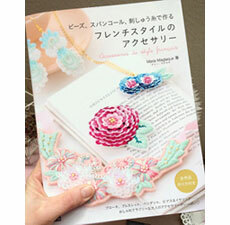 If you are in Tokyo this weekend, I invite you to drop by and check out this event! o-tanoshimi ni! !